Workers on Monday paralysed activities at the Abuja headquarters of the ministry of Industry, Trade and Investment, agitating for the removal of the minister, Mr Okechukwu Enelamah, from office. 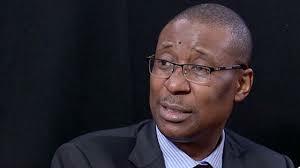 NAN reports that the Association of Senior Civil Servants of Nigeria [ASCSN] of the Ministry of Industry, Trade and Investment, in Abuja, requested President Muhammadu Buhari to immediately terminate the appointment of Enelamah. The association accused the minister of impunity, corruption, high handedness, injustice and nepotism since assuming office in 2015. They said that the minister had succeeded in duplicating and wasting resources through the creation of the Nigerian Office of Trade Negotiation [NOTN] based on false memo or advice to the Federal Executive Council [FEC]. Mr Okonkwo Onwuyah, the Chairman of the Association, Ministry of Industry, Trade and Investment Unit , said the minister had also killed the Trade Department and rendered Commercial and Trade Officers redundant. ”We are also demanding that all outstanding payments since 2014 till date be prioritised on first come first serve basis for payments. “The training and welfare needs of workers must be concluded before the end of December 2018, services of consultants be withdrawn with immediate effect, timely conduct of promotion exercise should be observed. “All cases of conversion and upgrading pending in the ministry and with Head of Service [HOS] and FSCS should be worked on to ease off delays,’’ Onwuyah said. He said it was also worrisome that the minister had allowed impunity and maladministration to continue in Human Resources Department. He also alleged desperate attempts to privatise Calabar and Kano Free Trade Zones under the management of the Nigeria Export Processing Zones Authority [NEPZA]. He alleged the looting of a private company – Nigeria Special Economic Zones Company Ltd [NSEZCO] – using public funds to take over the functions of NEPZA. He called on government to reinstate Keftin Amuga as the Chief Registrar recognized by the Head of Service, Federal Civil Service Commission and the Civil Service rule. Isah said the authority was established with Decree No, 63 of 1992 now NEPZA Act Cap 20, Laws of Federation of Nigeria 2004 [LN]. “Power was granted NEPZA by section 4 of the Act, and previous administrations’ resolve to give the powers to the agency to handle the implementation of the nation’s drive towards industrialization. “Such would have been achieved by accelerating the speedy implementation of the National Industrial Revolution Plan [NIRP] through the Special Economic Zones [SEZ] and the attainment of the Economic Recovering Growth Plan [ERGP].